KENOSHA, Wis. — A typical cold turned out to be much more serious for one Wisconsin family, but a mother's intuition might have saved her child's life. Michaela Nieman said the last couple months have been a whirlwind. "No one still really knows for sure what happened," said Michaela Nieman. Seven-year-old Tori Nieman got sick right after Christmas. "We didn't take her to the doctor at first because it just seemed like a normal cold," Nieman said. At first, the mother thought a little sleep and some Tylenol would do the trick. "But she was resting a little bit too much," she said. She then started to notice more unusual symptoms. "Her speech started to get very incomprehensible. She wasn't making any sense at all," Nieman said. That's when she took Tori to the ER in Kenosha, Wisconsin. She said it didn't take long for doctors to decide to get Tori to the Children's Hospital of Wisconsin — and fast. "Of course I was panicking," said Nieman. Tori was admitted to the pediatric intensive care unit, where she was intubated for days. "When they looked at her lungs she did have pneumonia really bad in one lung and then eventually they went to both, but then they went away. 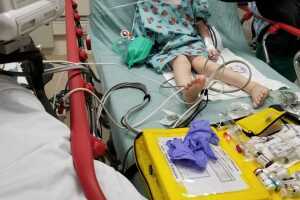 They tested her for various other viruses and they [saw] that she contracted RSV," Nieman said. RSV, or respiratory syncytial virus, is a common respiratory virus in young children. "Apparently if she was any younger, like infant age, that could have been fatal," said Nieman. 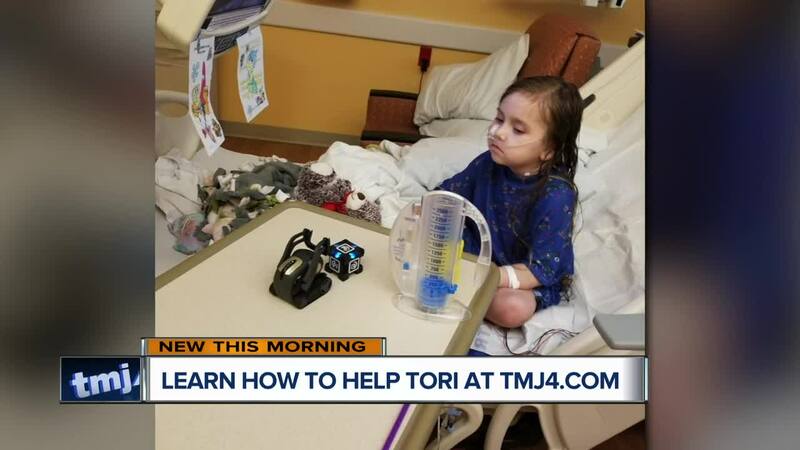 Dr. Matthew Harmelink, the director of the Pediatric Neuromuscular Program at Children's, said Tori was sicker than most kids with RSV and she didn't appear to be getting better. "She seemed to be doing really well and then all of a sudden took a turn for the worse and the question was why in a healthy kid would that happen," Harmelink said. He said the 7-year-old could have died if her mom didn't bring her to the hospital when she did. "For her with her type of symptoms, yes," said Harmelink. After many tests and a month in the hospital, doctors discovered Tori has a form of muscular dystrophy, making it harder for her to breath. "It doesn't mean everyone has to come to the ER or everyone has to come to the ICU with a cold, but it's something that if you're not getting better it's a reasonable thing to say after a period of time, let's give someone a call and go from there," said Harmelink. Tori went home with a BiPAP machine to help her breath. She still has a weak immune system so the first-grader hasn't been going to school under doctors orders. "It's fun because I play with my cats and dogs," Tori said. Tori, her mom and the pets are hunkering down until cold and flu season is behind them. In the meantime, Nieman is thankful she followed her gut. "As a mother, just listen to your instincts because if you have any inkling of 'OK this is bad,' you should bring your kid in. You don't wait , you don't listen to anybody else," said Nieman. The Niemans are waiting for test results to find out if this is genetic but currently the family is dealing with the unexpected medical costs. You can help by clicking here .